Hi everyone! I wanted to go for something fun and random today, so here's what I came up with! Sorry for the lack of outdoor photos, it's monsooning over here! I started off with three coats of Maybelline Green With Envy, a pale pastel green creme. While the color may be very pretty, the formula is terrible!! The application was anything but smooth, and it was still ridiculously streaky after two coats. Next, I used the polish brush, not a dotting tool, to place three dots on my nail. 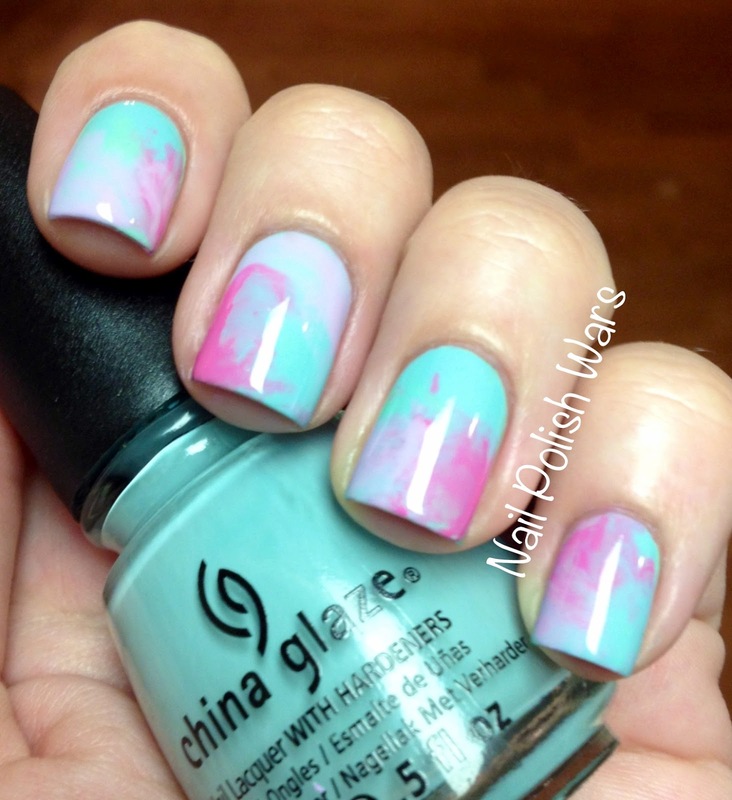 I used Zoya Shelby, a medium pink creme, China Glaze Sweet Hook, a pale purple creme, and China Glaze Kinetic Candy, a pale blue creme. I placed one thick dot of each color. Next, I used a piece of a small Ziploc bag on top of my nail and then swirled it around in a circle, before carefully removing it from my nail. I repeated this step with each nail. I placed the color dots in different locations on my nail to achieve a different color pattern on each nail. I then finished with one coat of SV. This was a fun and easy look to create! But, be mindful, clean up can be a bit of a pain for this one if you're not careful! I hope you enjoy! very clever and looks nice! Sorry for the lack of tutorial. After your base color, place the dots of your other colors on your nail. Then place a piece of Ziploc bag on your nail immediately after. Swirl the piece of the bag around so that it blends the dotted colors all over your nail. Then just take the piece of Ziploc off and add top coat. I hope that helps! WOW! this is lovely!!! love it! OH this is pretty!! I have to try this method and the saran wrap method too! Love the colors. 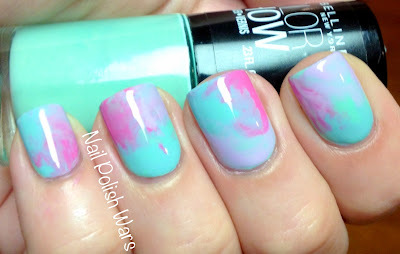 Could you do a post/video of your nail polish collection and\or favorite polish?? Stop making me want to buy even more mint/pastel green/seafoam. Bad formula be damned!!!! I have a problem. love it! it looks very cool and refreshing! this is so pretty! you are so creative! Love this! The colors are so pretty together!